Sunrise Terrace’s building project, completed under the direction of AHTS Architects of Waterloo and Point Builders of Cedar Rapids, is set to complete Phase 1 on Thursday, June 16th. 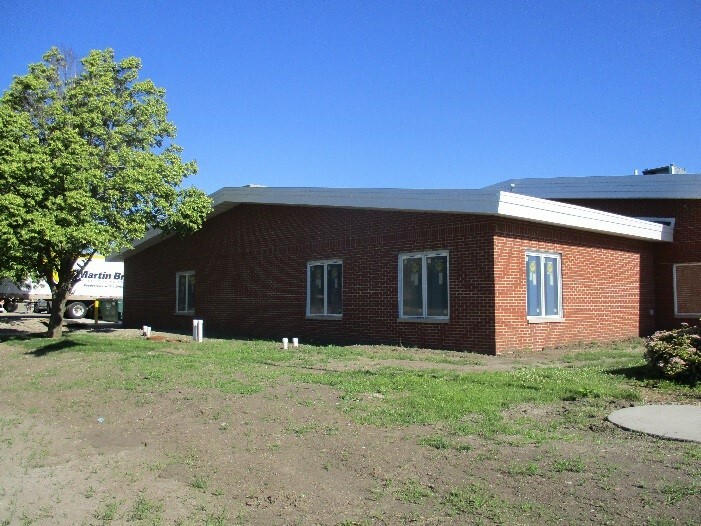 Phase 1 is the addition of a new laundry area, employee breakroom, and our dietary manager’s office/storage. With a new hallway built into this space, employees will now enter through its west door from the employee parking lot. Though we currently remind employees to be quiet upon entering and exiting the building, this change will positively impact resident’s quality of life as this new location should reduce noise levels to a new low. 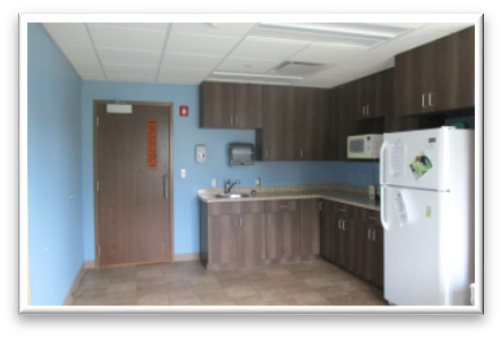 From their new breakroom, employees will enter the facility by our beauty salon and main dining area. Hence, resident rooms will be further from any potential commotion that occurs during ‘resident report’ at shift change in the early morning or late night. Phase 2 will start June 20th. This phase is scheduled to take approximately 45 days and includes the remodeling of our old laundry space to create a new living and dining area for Garden Terrace residents. The current employee entrance will become an exit door off the residents’ living space that will lead them out into their new outdoor patio area. This outdoor space will be enclosed with a tall fence to create beautiful sceneries of flower and vegetable gardens and a walking path. Phase 3 began June 9th. Although this is the last phase and the majority of the construction in this area cannot be completed until phase 2 is complete, contractors have several weeks’ worth of outdoor work that they can complete to keep the project moving in a timely fashion. Phase 3’s completion date is February of 2017 and is the addition of six private suites that will be dedicated to skilled rehabilitation and a large therapy gym. Those who choose Sunrise Terrace for their skilled therapy needs will have the luxury to be on a wing designed to help them get well in a hotel-like environment. Each suite will be equipped with a walk-in shower, electric bed, electric recliner, flat screen T.V., small refrigerator, and private dining area for room service. Conveniently, located just feet away from each patient’s door will be the therapy gym. The new gym has the capacity to accommodate six patients at a time. This will allow not only licensed therapists to work with our skilled patients, but our restorative team to complete cares with our long term residents at the same time, keeping them as safe and independent as possible. The gym will provide an efficient use of space and patients will receive effective treatment up to six days per week that will enable them to return home safely in a shortest amount of time.